We are a company that thrives on passion. Passion about India and about everything we do. We are on a journey to achieve excellence, no matter how hard, or how far. We hire the best minds and challenge them in a highly independent culture that will push you every day to achieve. And to raise the bar. That is what it takes to build our modern-Indian, luxury men’s fashion brand. If you are excited about being a part of our story please apply for the relevant posting below. We are looking for a luxury oriented customer enthusiast who has excellent communication skills, an understanding of consumer/customer service and is willing to do what it takes to deliver a benchmark customer experience. You will be the face of Andamen for your customers on various aspects from order management, relationship management, style guidance and upsells. CTC: depending on the potential and profile of the candidate. Andamen is looking for a creative menswear designer who is excited about designing modern Indian men’s fashion. The candidate must have a strong aesthetic for Indian inspired, modern, minimal, luxury design and be very detail oriented. S/he should be willing to get her/his hands dirty to materialize design concepts and to conduct design R&D (on fabrics, silhouettes, techniques, washes) in fabric/garment houses. You need to have 0-3 years of work experience and will report into the current head of design. Please send your CV and portfolio showing your best work. As Andamen expands we are looking for a specialist growth oriented digital marketer with 3-6 years of experience, who is capable and excited about expanding a brand’s digital marketing initiatives towards achieving our next phase of growth. You will work directly with the brand’s founders and play a leading role in forming digital marketing strategies, forecasts and budgets; executing, analyzing and optimizing them; and ultimately building a team. Plan and execute all campaigns and spends across all digital channels including Facebook, Google search and display, Instagram, email, etc. Brainstorm and build additional digital marketing channels including push marketing, affiliate marketing, etc. 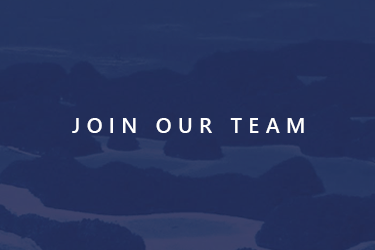 A creative and challenging opportunity to work directly with Andamen’s founders and be responsible for creative strategy and implementation across all areas of digital and print design such as web banners, emailers, website pages, look books and more. You will play a critical role in weaving the Andamen narrative and enriching the brand and customer experience through all touch points. Work very closely with the Marketing and Product Design teams to ensure cohesion in the design language between the website, products and marketing initiatives. Andamen is looking for an experienced Front-End Web Developer who is motivated to combine the art of design with the art of programming. Responsibilities will include UI/UX design & translation of the UI/UX design wireframes to actual code, design of campaigns, emailers, banners and posts. You will work closely with the brand and social media strategists, the website team and art directors and photographers to design awe inspiring visual media. If you are an digital marketing expert who has the experience and passion to drive all areas of search engine marketing, facebook marketing, SEO, email marketing, and is excited to work closely in a small team, for a rapidly growing fashion ecommerce website, reach out to us. You will work directly with our Head of Digital Marketing on all Digital Marketing activities. Execute strategies for keyword opportunities, campaign structuring, targeting, display network, audience network and other facets of paid ads. Monitor and evaluate search results and drive SEO implementation. Create and maintain reports showing web analytics data and site evaluations. Constantly perform competitors’ analysis and market research to ensure an up-to-date knowledge of current, past, and projected trends in Digital Marketing. 2-4 years of experience in Digital Marketing. Should have hands-on knowledge of Google and Facebook Ads manager. Well versed with Google Analytics and Webmaster Tools. Should ideally have earned relevant Certifications from Google & Facebook. Passion to persevere, achieve and grow. Ability to thrive in an ambiguous and fast changing environment. Self-motivated, collaborative and ability to work independently. 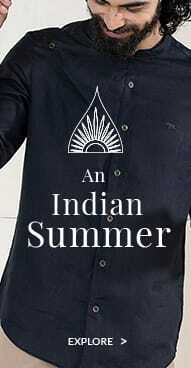 About Andamen: We are a modern Indian, luxury men’s fashion brand. At Andamen, we celebrate India’s culture and craftsmanship by creating fashion products that blend Indian heritage with cutting edge, sophisticated western fashion. Inspired by the Andaman Islands, and symbolic of today’s global Indian, Andamen represents the unique duality of being international yet deeply connected to our Indian roots. 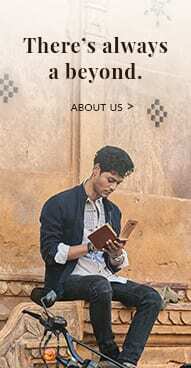 We launched in December 2015 and have since been featured in Economic Times, HT Mint, India Today, Indian Express, Man’s World, Rolling Stone, Verve, LBB. Andamen is a part of the Impulse Group, one of India’s leading fashion and lifestyle supply chain management companies. Founded in 1982, Impulse has over 400+ employees across multiple offices in India and serves customers in Europe, USA, Asia, Australia and the Middle East.